Solid state is a term that refers to electronic circuitry that is built entirely out of semiconductors. The term was originally used to define those electronics such as a transistor radio that used semiconductors rather than vacuum tubes in its construction. Most all electronics that we have today are built around semiconductors and chips. In terms of a solid state drive, it refers to the fact that the primary storage medium is through semiconductors rather than a magnetic media such as a hard drive. So how exactly do they do this? Well, many SSDs on the outside look almost identical to a traditional hard drive. This design is to allow the SSD drive to put in a laptop or desktop computer in place of a hard drive. To do this, it needs to have the standard dimension as a 1.8, 2.5 or 3.5-inch hard drive. It also uses the common SATA interface so that it can easily be placed into any PC as a hard drive would. There are several new form factors such as M.2 that look more like a memory module. The power usage is a key role for the use of solid-state drives in portable computers. Because there is no power draw for the motors, the drive uses far less energy than the regular hard drive. Now, the industry has taken steps to address this with drives spinning down and the development of hybrid hard drives, but both of these still use more power. The solid state drive will consistently draw less power than the traditional and hybrid hard drive. Faster data access will make a number of people happy. Since the drive does not have to spin up the drive platter or move drive heads, the data can be read from the drive near instantly. Hybrid hard drives do tend to mitigate the speed aspect when it comes to frequently used drives. Similarly, Intel's new Smart Response Technology is a similar method of caching on a small solid state drive to produce similar results. Reliability is also a key factor for portable drives. Hard drive platters are very fragile and sensitive. Even small jarring movements from a short drop can cause the drive to have issues. Since the SSD stores all its data in memory chips, there are fewer moving parts to be damaged in any sort of impact. 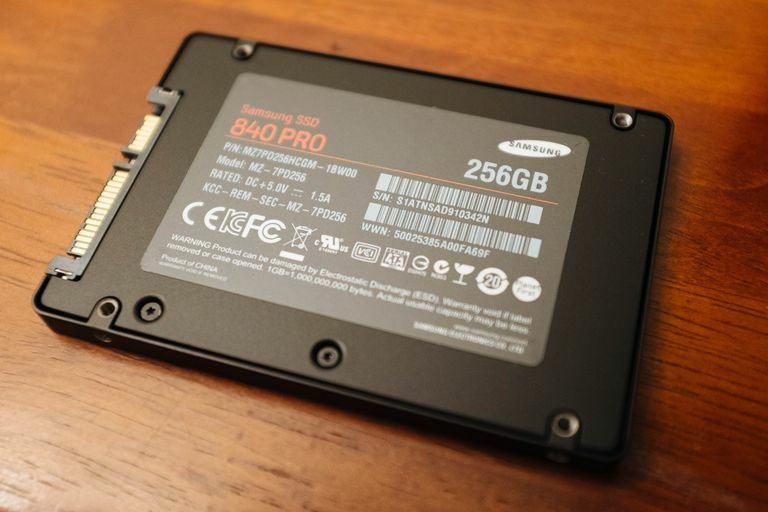 While mechanically SSD drives are better, they do have a limited lifespan. This comes from a fixed number of write cycles that can be done on a drive before the cells become unusable. For most consumers, however, the write cycle limits tend to still allow the drives to last longer than the average computer system. As with most computer technologies, the primary limiting factor of using the solid-state drives in laptop and desktop computers is cost. These drives have actually been available for some time now and have come down dramatically in price but they still cost roughly three times or much more the cost of a traditional hard drive for the same rough storage capacity. The higher the capacity the hard drive, the greater the cost differential becomes. Capacity is also a major factor in the adoption of solid-state drives. The average laptop computer equipped with an SSD will have around 128 to 512GB of storage. This is roughly equivalent to what laptops of several years ago with magnetic drives came equipped with. Today, laptops can feature 1TB or more of storage with a hard drive. Desktop systems have an even greater disparity between SSD and hard drives. Even with the huge difference in capacity, most computers have far more storage capacity than they used to. Only a large collection of raw digital photo files and high definition video files will likely fill up hard drives quickly. As a result, solid-state drives will generally offer a sufficient level of storage for most laptop computers. Additionally, high-performance external options thanks to USB 3.0, USB 3.1, and even Thunderbolt make adding extra storage space with an external hard drive quick and easy for non-essential files.